Have you ever been at Ingleside on a Wednesday night? If not, let me give you a snapshot. A Midweek snapshot. On a typical Wednesday night hundreds of people gather at our church for the purpose of growing stronger and deeper in our relationship to Jesus Christ and one another. The gatherings are typically segmented by age, life stage, or purpose to allow us to focus God’s truth on the particular needs of each group or to sharpen our skills for serving. For example, just a few Wednesday nights ago (on January 24), 67 adults gathered in the Chapel for praise, prayer, and our verse-by-verse Bible teaching, while another 76 adults were participating in groups or studies all across our campus. At the same time, 92 high school students and leaders were at “Across the Street,” 70 middle school students and leaders were in “The Basement,” 120 children and leaders were gathered for AWANA, and 59 preschoolers were being cared for and taught in Jesus’ name. At the same time, 90 singers prepared to lead worship in blended choir rehearsal, 39 singers were in traditional choir rehearsal, 23 band and orchestra players were preparing, and 11 production team members were preparing for Sunday worship. Of the 647 people here that Wednesday night, 238 enjoyed a great meal in our fellowship hall. The meal is served buffet-style from 4:45 until 6:30 p.m. every Wednesday night. As you can see, regardless of your age or life stage, there’s a place for you on Wednesday nights at Ingleside. And, I hope you will join us soon! 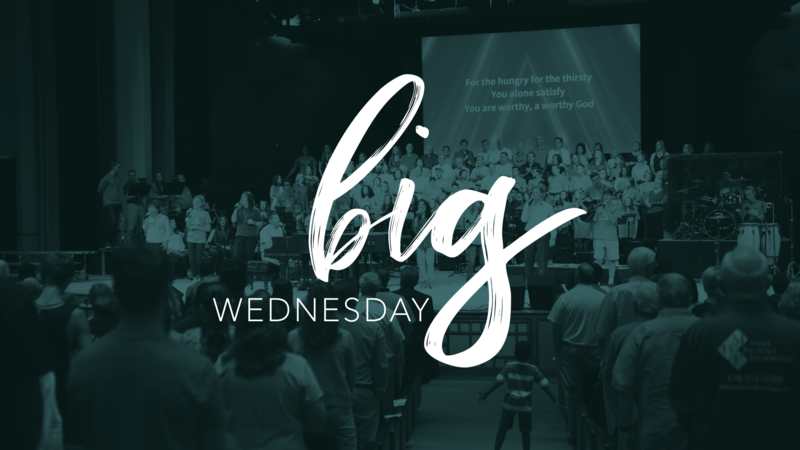 So, again on Wednesday, March 7, we are encouraging everyone—all ages and life stages—to come for the fellowship meal and then gather for worship at 6:30 p.m. in the Worship Center followed by an Ice Cream Social in the Gathering Area. When? Wednesday, March 7, at 6:30 p.m.